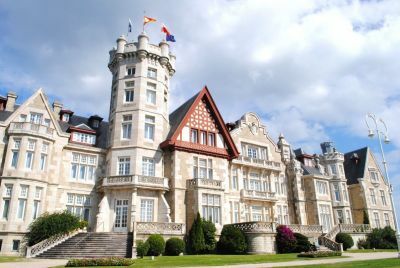 Half Day tour with a private guide to walk the streets of this costal city; Santander, an elegant city which extends over a wide bay with views of the Cantabrian Sea. Its historic quarter includes a group of majestic buildings which are situated against an incredible natural backdrop of sea and mountains. Its marine and commercial tradition is linked to a century old history of tourism, which has its main attractions in the famous El Sardinero beach, the promenade and the La Magdalena peninsula. The cultural wealth of the Cantabrian capital is enriched with the passage of the Pilgrim´s Road to Santiago de Compostela and the neighbouring Altamira Caves, both of which have been declared World Heritage. Your Private English-Speaking Official Guide will meet you in the lobby of your hotel or at a designated meeting point if you are not staying in a city centre hotel.